Plastic is integral to what we do, so we thought it prudent to publish a primer on the many different polymers that are currently in use. Read on to find out what they are, how they’re used, and how recyclable they are. Most people are now aware of the damage caused by careless plastic use. It’s one of the most important issues of our time, and the brightest among us are racing to find a solution. I’m sure the thought has occurred to many of us — if the problem is so large, why not just stop using it? The answer lies in this unique material’s sheer versatility and usefulness. So much of our economies, manufacturing, and such a huge portion of our lifestyles are supported by plastic, the solution is not as simple as just doing away with it. Innovation and leadership are what’s required to change the future of what we produce, along with a willingness and interest in that innovation by the companies that make and rely on plastic. So what is it that makes polymers so difficult to replace, and so necessary for us? We’ll go through each major type of plastic and give you a basic rundown of what they do and why we need them. PET is made from ethylene glycol and terephthalic acid. They’re combined into a chain via a process known as polymerization. The chains are extracted, rapidly cooled, and formed into little pellets. They’re reheated to liquid form and can then be made into many different products. 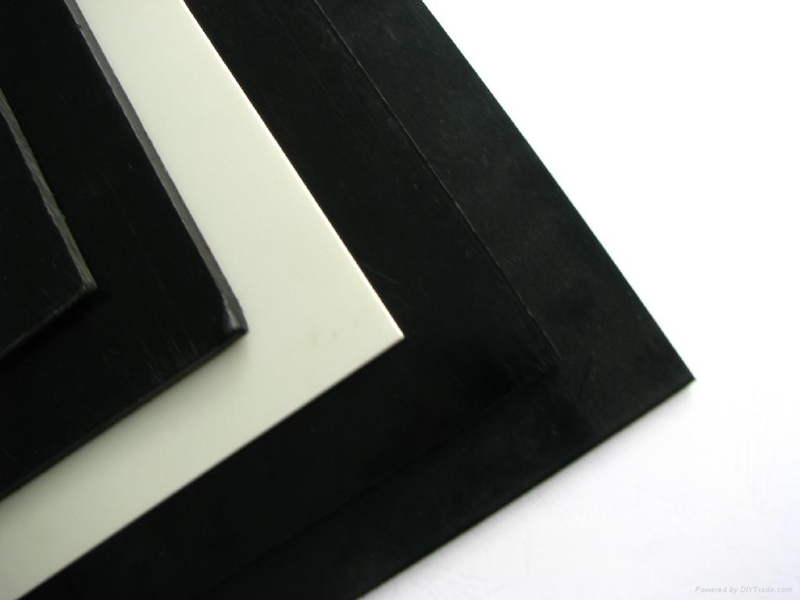 One of the most common plastic resins, PET is naturally colorless and extremely lightweight. Generally recognized as nontoxic and safe, it works well as a barrier to both gas and moisture, and is strong and flexible. It’s versatile too, able to be made rigid or non-rigid and fits a wide variety of purposes. Most of us use PET plastic every day of our lives. Its durability, shock-resistance, safety and low weight makes an ideal material for food and beverage containers. Nearly all the plastic soda and water bottles you see in the store are made from polyethylene terephthalate, along with things like containers for fruit, peanut butter jars, microwaveable trays, and tennis balls. One of the fantastic properties of PET is how recyclable it is, something that’s made clear by its status as number 1 on the recyclability scale. All PET plastic bottles can be recycled, and it’s relatively very easy to turn them into plastic pellets. According to the British Plastics Federation, almost 60 percent of PET plastic bottles in the household waste stream are now being collected for recycling, which is a clear step in the right direction in the fight against our plastic waste problem. HDPE is made by applying intense heat to petroleum. This produces ethylene gas molecules, which then attach to one another forming the polymer polyethylene. Known for its exceptional strength-to-density ratio, HDPE is the most common plastic resin used for the production of more durable plastic bottles. It’s the most environmentally stable of all the common types of plastic, and gives off no harmful fumes. It’s low maintenance and resists wear and tear from most environmental sources exceptionally well. HDPE is used in an astounding variety of different products, the most well-known being thicker plastic containers like milk jugs and detergent containers. Other uses include patio furniture, plastic toys, trash bins, and even automobile parts. It’s also what plastic lumber, a synthetic wood used for things like deck construction, is made from. This incredibly widespread use is due to its tremendous weather and impact resistance, making it ideal for when little Timmy throws his toy train out the window. Coming in at #2 in the little recycling triangle, HDPE is also extremely recyclable, with almost every municipal recycling program accepting it. It’s separated from other plastics, shredded, melted down, and then turned into HDPE pellets for manufacturing use. The milk jugs it makes are key, because an estimated 115 million of them are recycled yearly to make this plastic. PVC is made from ethylene and chlorine (chlorine being the element that makes PVC unique), which combine to form ethylene dichloride (EDC). EDC is the “monomer” that functions as the base of the plastic. These molecules are then linked together to form chains via the polymerization process that creates PVC in dust form. From there, it’s combined with various other ingredients to make final products. Durable, pressure-resistant, and flexible, PVC has a wide range of uses though in recent years concerns have been raised regarding its possible toxicity both to the environment and to humans. It’s made using chlorine and other stabilizing chemicals, and the jury is still out on whether these are going to have much of an effect on you unless you’re directly touching them. It has possible links to cancer and other long-term ailments. However, we do know that this polymer poses real danger when burned — for example, in house fires. When PVC combusts , it releases the chlorine in the form of hydrogen chloride; upon entering the lungs, it forms hydrochloric acid. If you don’t want to do the research, we’ll save you some time — you do not want this in your lungs. PVC may taketh away, but it also giveth. 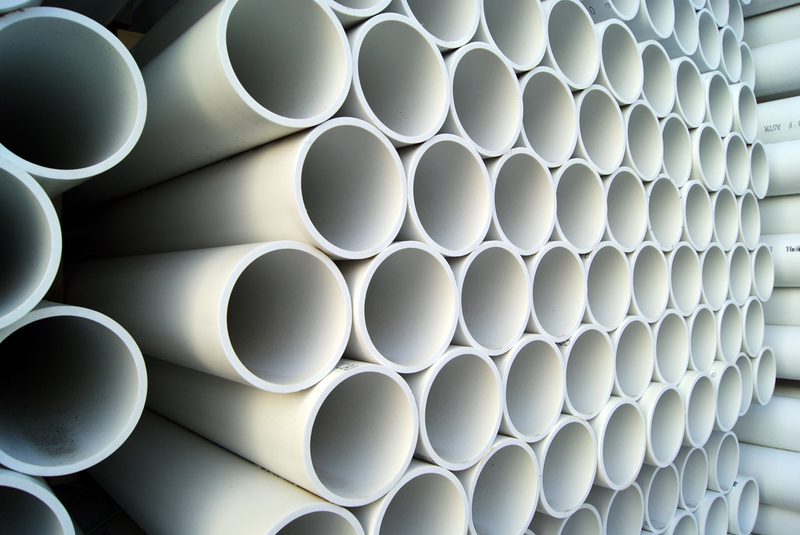 Most of us immediately recognize it in the form of PVC piping. However, it’s also been used to make softer, safer dashboards for cars, and airbags; it’s fire retardant, so it’s been extremely useful for automobile safety applications. It’s very weather resistant, too, providing the base for vinyl siding and garden furniture. The medical field has made extensive use of PVC, using it to make an plethora of different equipment like catheters, surgical masks and gloves, and heart/lung bypass sets. Another strike against PVC is its recyclability. Due to the hazardous chemicals it contains, it’s difficult to process. Many municipal recycling programs will not accept it because a small amount of PVC in the recycling stream will contaminate everything and either downgrade it or render it unsafe. In response to these dangers and difficulties, many governments have been limiting PVC production and are trying to reduce its usage. LDPE is simply a lower strength, more flexible variant of HDPE. During the manufacturing process, the molecular chains that form polyethylene are made to “branch” more, rather than allowing them to combine tightly. This results in a lower tensile strength but greater malleability. This is an additional step in the process, making it more expensive and intensive to produce, and thus less common than its high-density counterpart. LDPE is mostly used to make items that benefit from flexibility, like squeezable condiment bottles and some types of water bottles. You might recognize them best in the form of plastic bags. It’s also great for making plastic films, like shrink wraps and film wraps for meat and bread. It’s not as commonly recycled as HDPE and PET, but many local recycling programs accept it. In a recycling facility, LDPE is exposed to heat that eliminates contaminants, and is then fashioned into sheets. These sheets can then be used to make new products. Polypropylene is an extremely tough, rigid plastic made from polymerization of propylene gas. Most commonly, a “gas-phase” process is used, where propylene, ethylene, and hydrogen gas are combined with a catalyst and mixed together inside a reactor. This forms a powder that is carried from the reactor and used to form different PP products. It’s very resistant to chemicals, highly elastic and strong. It has a low density, which means not only is it relatively light, but it takes less material to make. Because it’s more environmentally friendly than PVC, polypropylene is now used to make lots of piping. Its flexibility makes it ideal for production of “living hinges,” which are hinges of bending plastic like the lid on a ketchup cap. They can be bent over and over again, but won’t ever break. Those flexible classroom chairs most of us are familiar with are also commonly made from polypropylene. It’s used in food packaging, too, as its light weight and excellent barrier properties make it great for holding products like yogurt. In terms of reusability, polypropylene is currently more expensive to recycle than other common polymers, and thus many municipal recycling programs will not accept it. If they do, it’s often mixed with PET to make plastic bottles. However, it’s been proven that it’s very recyclable in a closed-loop scenario (meaning a PP container can be recycled into a new PP container, rather than degrading), and cost is dropping while efficiency increases. Ideally, in the near future we will see an increased capacity and availability for PP recycling on a local level. Standard polystyrene is clear, hard, and brittle. It is fairly weak as both a liquid and gas barrier, but its extremely lightweight and malleable at certain temperatures. Production of polystyrene begins in much the same way as other plastics, with a monomer — in this case, styrene. These monomers are linked together via polymerization and form the final polymer. In the case of polystyrene, it forms tiny beads containing an expanding agent. When heated with steam, the beads expand rapidly. They can then be reheated and molded into whichever shape and design the manufacturer desires. We’re all familiar with the most common form of polystyrene — styrofoam. It’s a packaging favorite, whether it’s formed into a solid structure that stabilizes a product within a box, or made into packing peanuts to be used as loose fill. Polystyrene can be kept in sheet form and used to make plastic cutlery, plates, CD cases, and even smoke detector housings. Unfortunately, we have a huge waste problem on our hands when it comes to polystyrene, mostly in the form of discarded styrofoam. It’s very hard to recycle both because of the intensity of the process needed to make it, and because of its tendency to break and crumble. This means that the bulk of our polystyrene waste ends up in landfills where it can leach harmful chemicals into the environment. This has, as in the case of PVC, led to initiatives by organizations and governments to cut down the use of styrofoam and reduce its impact. However, as is the case with most plastics, its usefulness makes any ban a hard sell, and many cities are struggling to impose these laws. 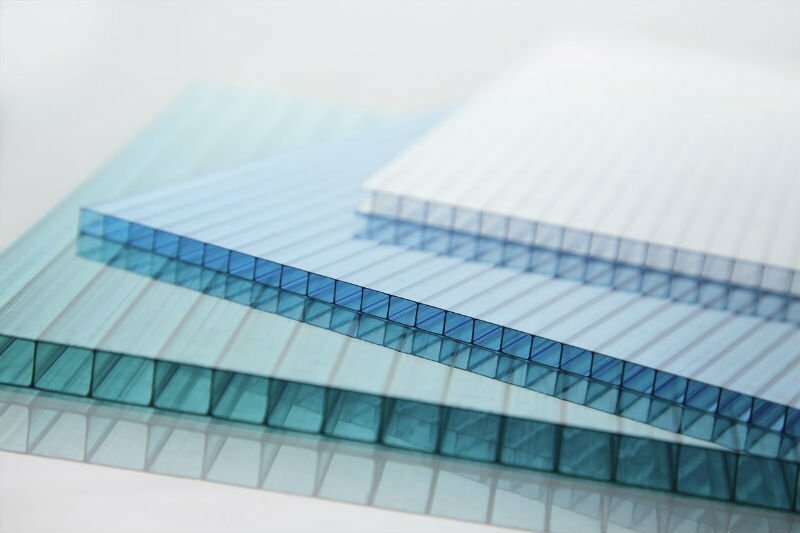 Polycarbonate plastic has an extremely high stiffness-to-weight ratio, and is almost entirely transparent. It’s highly moldable and has an incredible resistance to high temperatures. Initially made from the polymerization of bisphenol-A (BPA) and phosgene mixed with an inert solvent, widespread regulation on use of phosgene gas has forced many manufacturers to rework how they produce polycarbonate. As a result, various phosgene-free methods are now being employed around the world. Unfortunately, phosgene isn’t the only problem with polycarbonate. Numerous studies link BPA to health problems like diabetes, fertility issues, and various types of cancer, among others. There isn’t an official consensus, but the studies carry enough weight that laws have been passed limiting its use. For example, plastic containing BPA can’t be used to make baby bottles or children’s drinking cups. The strength and transparent nature of polycarbonate make it invaluable in products that must be seen through, but can’t be made of glass. It’s used as a base in lots of automotive parts, like dome lights, headlight lenses, and even bullet-resistant automotive glass. Protective eyewear is usually made from polycarbonate because of its impact resistance, and on a larger scale so are small windshields for vehicles like motorcycles and ATVs. The list goes on with pens, riot shields, CDs, and many more. Although it is recyclable and can be ground down into flakes to make plastic lumber, there are not many facilities that accept it. If you want to recycle it, you’re going to have to do some research. Because it leaches BPA into the environment, the most common advice is to simply avoid it and buy glass where the option is viable. POM is a high-stiffness, low-friction plastic. Two versions exist: a homopolymer (POM-H) and a copolymer (POM-C), the difference being that POM-H is produced using only a single monomer, while POM-C is made using two. The homopolymer is produced by combining liquid formaldehyde with alcohol, thereby dehydrating it, forming the monomer anhydrous formaldehyde. It’s then polymerized, forming a dust that can be used to make various products. POM-C is made via a similar process, but uses a co-monomer, typically dioxolane. POM’s extremely strong, highly rigid properties make it a useful engineering plastic. Despite this, it degrades relatively quickly in the presence of hot water, chlorine, and gases like hydrogen chloride. If you’re a hobbyist, odds are you’ve run into your fair share of POM. It’s commonly used in the production of gears, screws, chains, and other small, precise parts. It’s also used to make insulin pens, instrument mouthpieces, guitar picks, door locks, handles, and hinges; the list goes on, and it’s extensive. POM is one of the best options for the manufacture of items that absolutely require a high degree of durability and precision. While it is fully recyclable, very few municipal programs would accept POM, and you’d have to do some research to find a recycling center that will take it as well. Much like polycarbonate, when POM is recycled, it’s often made into plastic lumber. At this point, it’s a well-known and widespread sentiment that you should recycle plastic. However, many of us either don’t know or simply don’t take into consideration the wide variety of plastics that exist before we toss them into the bin. This is less having to do with motivation and more with a lack of general education on how to recycle things properly. There’s a lot of shame associated with throwing away plastic now, and many people feel that guilt even if they’re doing it for the right reason. But unfortunately, this is making us mix things into the recycling stream that really shouldn’t be there. It’s easy to give ourselves peace of mind when we recycle, but when we try to do that with the wrong type of plastic, it’s as good as throwing it out and just wastes time and energy in recycling facilities. 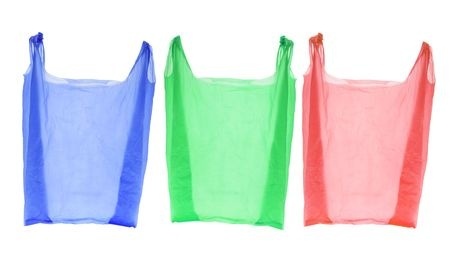 Plastic bags and shower curtains are a huge problem, and they can snarl up the recycling process for hours. Our current number-based recycling system unfortunately leaves a lot of perfectly good, recyclable plastic out because it fits into the mystery catch-all category, number 7. If cities were to implement systems where, say, recyclability is determined by item type rather than the 1-7 scale, we might be able to prevent even more plastic from hitting our landfills. The most important thing to remember is to check your local recycling regulations, and reference them before absentmindedly recycling.